It is important to do your research and investigate the procedure(s) you’re interested in as well as the provider. 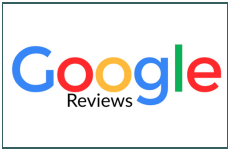 Below is feedback from our actual patients as well as links to several well known and reputable websites for physician and procedure reviews. We encourage our potential patients to review them. In addition, we greatly appreciate our current patients taking a moment to share their experience on one or more of them in order to help others make an informed decision.